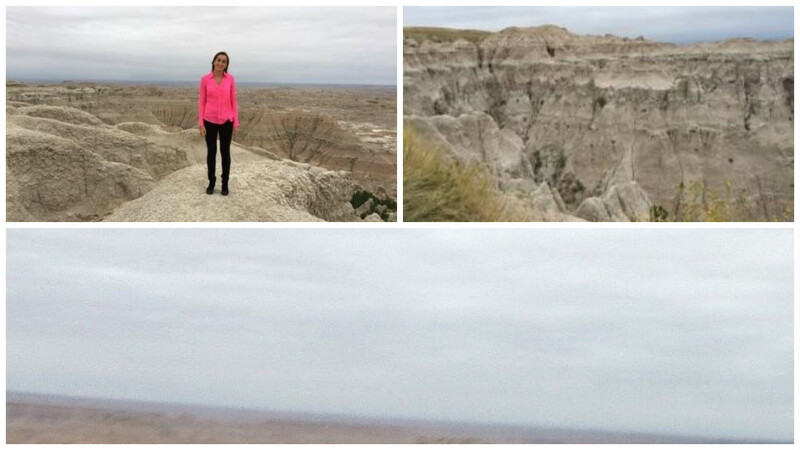 Recently I was able to take a three-day trip to South Dakota with Donna for an In-State Policy Academy. We flew into Bismarck, North Dakota on Monday, and then had a 4-hour drive to Pierre, South Dakota in a small Chevy Sonic rental car. 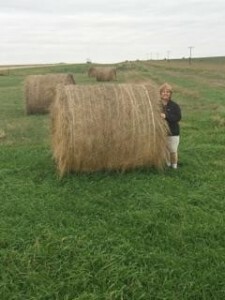 On our drive to South Dakota, we were amazed by how large the hay barrels were! As you can see – they were taller than Donna! “Cowboy up” was a popular saying in the area and became our theme for the trip! 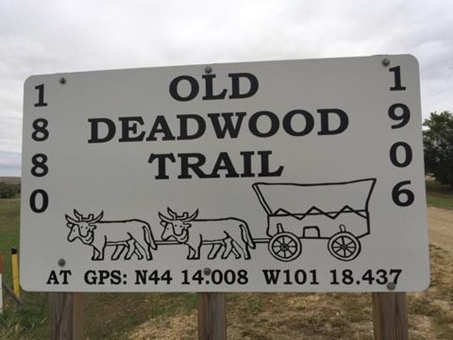 Our travel to South Dakota also took us along the Old Deadwood Trail, which was marked by signs like the one above. Some of you may know this area from the HBO show Deadwood. In true cowboy style, we decided to play some country tunes on the radio and enjoy the ride. Our trip continued past the birthplace of Laurence Welk (I am too young to know who he is). 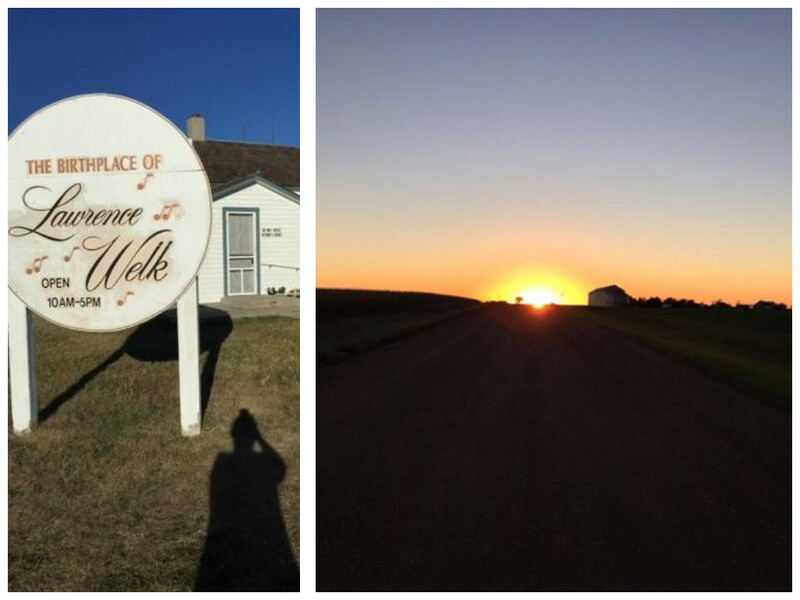 Finally, as we were reaching our destination of Pierre, South Dakota we were able to see this picture perfect sunset. By 8:00 p.m., we finally made it to The Hitching Horse Bed and Breakfast, which, in true theme, was fully decorated with horses. On Tuesday morning we had our half-day meeting in the morning in Pierre, which allowed us to travel and explore in the afternoon. 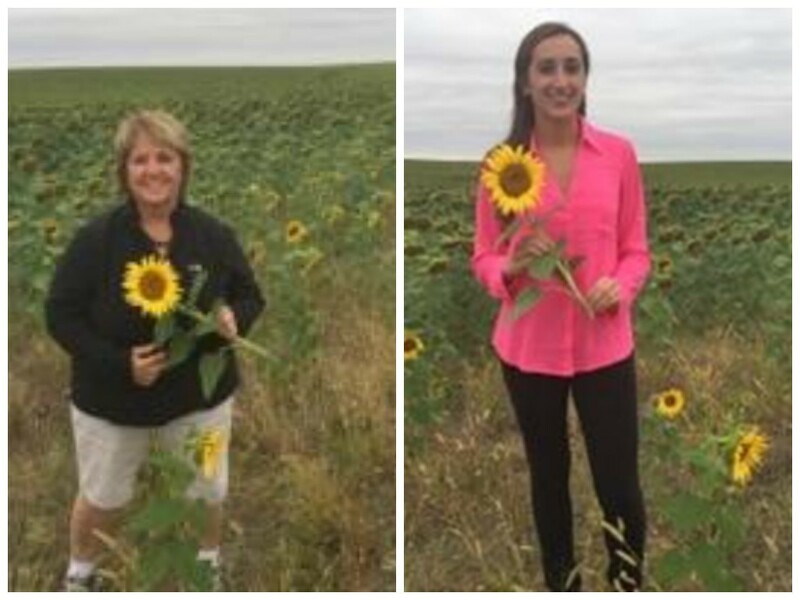 We saw miles sunflower fields (our B & B owner Ron later told us they are mostly harvested for sunflower oil). We stopped to the side to admire the thousands of sunflowers. 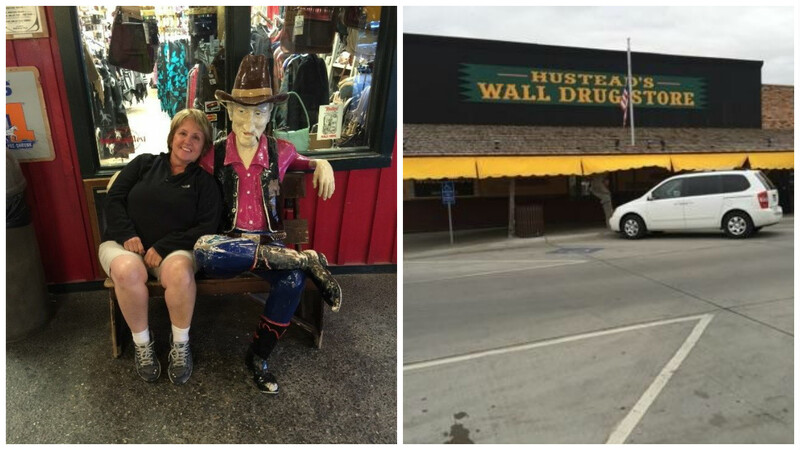 For about 60 miles, we saw signs for a place called “Wall Drug” so of course we had to check it out! It was a small western town, like you would see on TV. 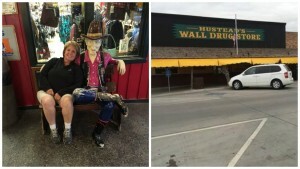 Wall Drug was filled with cowboy boots, Native American memorabilia, books, a chapel, and hundreds of tourist collectibles. Our last stop on the journey was the Badlands of South Dakota. This was the first national park I have ever been to and was truly amazed. The colors of the rocks and the vastness of the national park is an experience I will never forget. The photos below cannot capture the vivid colors of the rocks. 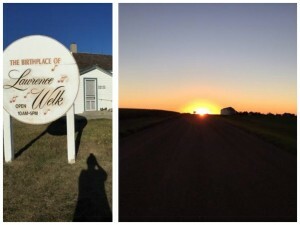 On our way back to Pierre, the places to eat were limited by small towns (one town had population of 12 people). Stop one was a crowded small room with a buffet of fried chicken, biscuits and no vegetables. In staying with our “cowboy up” theme we decided we really wanted steak, so we tried somewhere else. Stop two brought us to a bar restaurant. When we walked in there was about five people and a baby at the bar. We were informed the restaurant is only open on the weekends and the only food they had that night was spaghetti and garlic bread. Once again, we were off to find the perfect steak dinner. After trying to Google a place to eat, we ended up in a small town gas station, where they pointed us in the direction to a restaurant. At 8:00 p.m. (after not eating since noon) we walked into a cowboy paradise. The bar was filled with cowboys in boots and large cowboy hats. On the restaurant side, we finally had our salad, steak and their special potatoes. On Wednesday, we had our half-day meeting in the morning then a 3-hour car ride back to Bismarck, North Dakota for our flights back. On the way back while cruising to some good ole’ country music, we were hit with a rock chip from an 18-wheeler – leading to a loud crack and our rental car getting a broken windshield (rock chips breaking windshields apparently happens a lot in the area).